If you want your black garlic ready to go with no faff then these are what you're after. 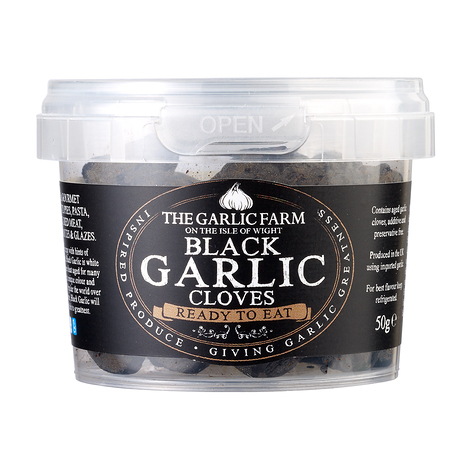 Deliciously sweet peeled cloves of aged black garlic ready to use in your cooking or as a tasty and super healthy snack brimming with antioxidants. A pot contains 50 grams of peeled black garlic cloves.